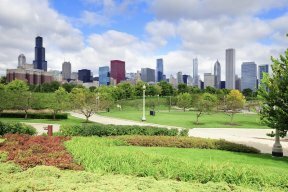 Thousands of Chicago Park District historic documents recently transferred to the Chicago Public Library for curation is now available to the general public. These documents dated from 1863 to 2005 include 61,000 photographic prints, park plans and other important documents that have all been digitized. Representing over 500 parks from the late nineteenth century to the present, these photographs and documents chronicle site development, park facilities, features (such as gardens, fountains, playgrounds and sculptures), park staff, programmatic activities, special events, the lakefront and shore protection efforts and road construction and re-development. 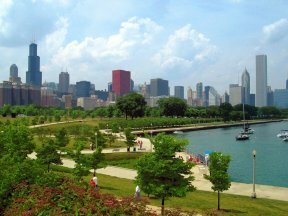 In the 1830s, Chicago’s emerging government adopted the motto “Urbs in horto,” a Latin phrase meaning “City in a Garden.” For nearly two centuries, Chicago’s citizens have rallied for the creation and protection of parkland, and many of the city’s parks have served as testing grounds for important ideas and social movements.